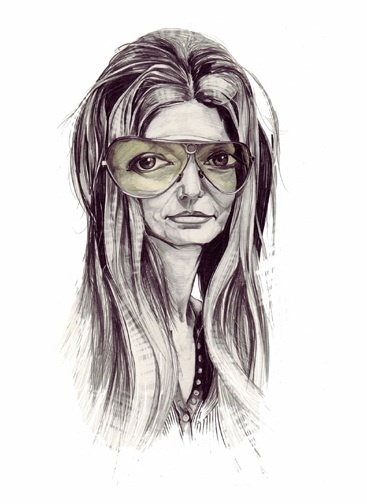 pencil | Randy McQuien, Jr.
Spring time makes me think of Daniel Bovet. 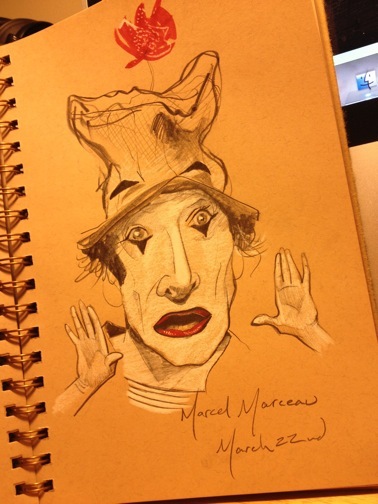 Marcel Marceau was born on March 22nd, 1923. 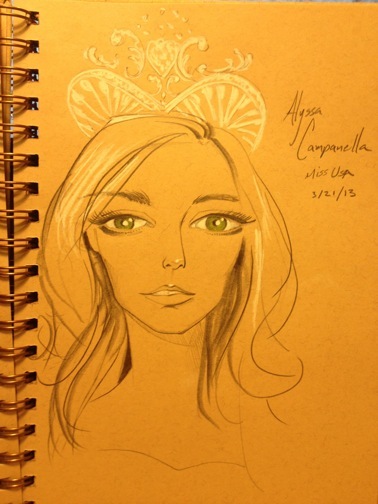 Alyssa Marie Campanella is a beauty pageant titleholder from the United States, who won the 2011 Miss USA pageant. I liked the Kia Hotbots Commercial that she appeared in during the Super Bowl. She turned 23 today. 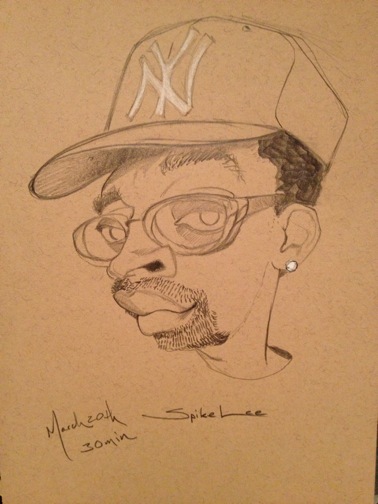 Spike Lee is 56 today. Lee is definitely a unique individual with so much character in his face which make him easier to draw. 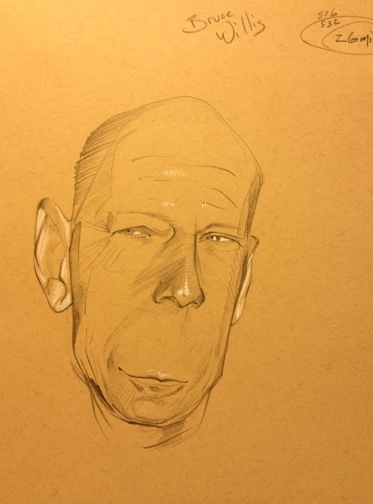 One of my dad’s favorite actors and it only took 26 minutes to draw. Happy 58th Birthday Mr. Willis!!! 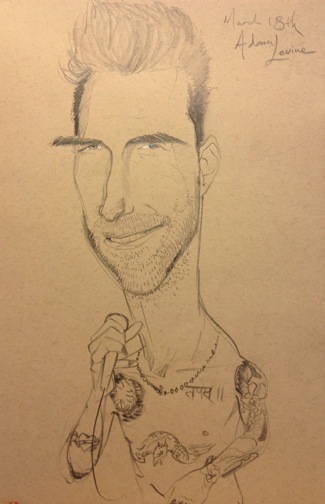 Adam Levine of Maroon 5 and The Voice turns 34 today. 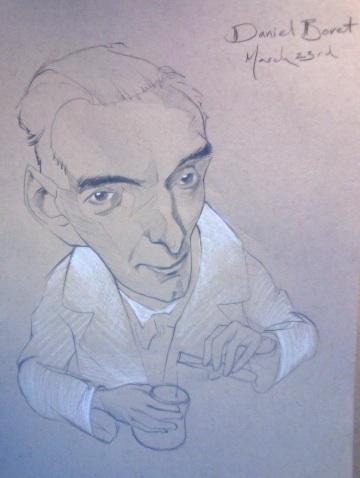 and it took me 34 minutes to sketch this caricature. 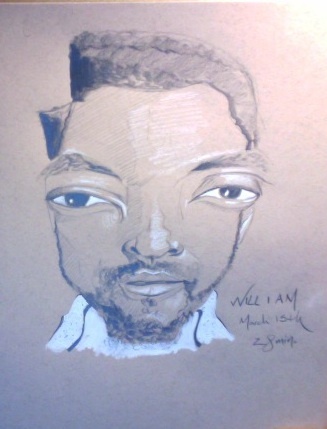 Will I Am is 37 today and one talented guy. 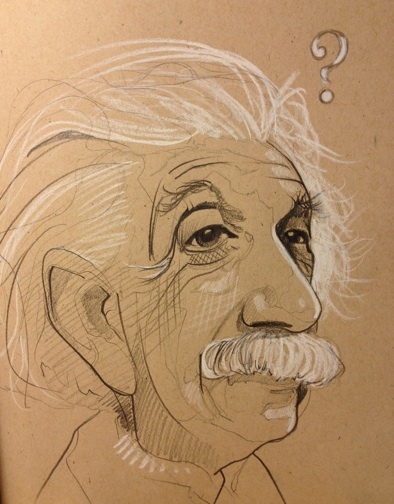 Albert Einstein would be 134 years today. 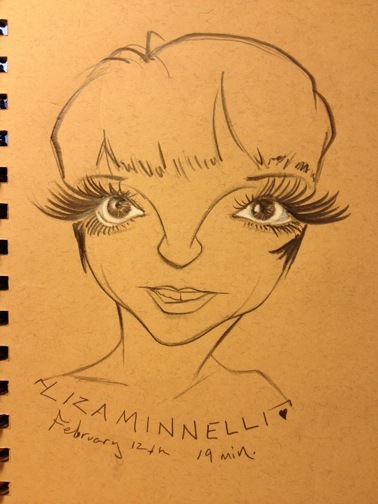 Liza Minnelli born March 12th, 1946. She is 67 today.